Clarinetist/alto saxophonist Paquito D'Rivera is a proud Cuban-American. Proud of his heritage, D'Rivera has championed music from his native land for nearly 4 decades. North Americans first heard his music when he and pianist Chucho Valdes brought their group Irakere first to festivals in Europe in 1977 and then, in 1980, to the Newport Jazz Festival in New York City. D'Rivera defected to the States the same year and trumpeter Arturo Sandoval came in 1981. Over the years, D'Rivera has also displayed a deep connection to the music of Brazil, an attraction that started when he would go to the movies and hear the great sounds of the percussion plus the beautiful dancers. He has recorded numerous CDs with Brazilian music but never one that featured him with all Brazilian musicians. That is, not until his "regular" pianist, Alex Brown, told him that Trio Corrente was his "go-to" group for contemporary music from the South American country. In October of 2012, Paquito D'Rivera traveled to Sao Paulo, Brazil, and recorded "Song For Maura" his 3rd release for Paquito Records/Sunnyside Records. Trio Corrente - pianist and arranger Fabio Torres, acoustic bassist Paulo Paulelli and drummer Edu Ribeiro - recorded its debut CD in 2005 and are considered by many writers in and outside of Brazil to be among the best ensembles the country has produced in the past 25 years. With the help of the pianist, D'Rivera has crafted a program that looks to the past and to the present for its inspiration. One gets a lovely reading of "Tem Do" composed by Baden Powell and Vinicius De Moraes as well as a hard driving version (the leader on alto sax) of "Ceu E Mar", a classic work of Johnny Alf (1929-2010) plus a bouncy reading of "Um a Zero" (here titled "1 x 0") from the prolific pen of Pixinguinha (1897-1973). Claudio Roditi (born 1946) is represented with his rollicking "Recife Blues" that includes a hyper-active rhythm section and forceful solos from Rivera (alto sax), Torres, a sparkling romp from Paulelli and a hearty yet fun romp from Ribeiro. Drummer Ribeiro, along with guitarist Chico Pinheiro, composed the sprightly "Cebelo No Frevo" which features a snappy melody line played in unison by the piano and alto sax. The drums sets a frantic pace and, along with the booming low notes of bassist Paulelli plus his strong counterpoint, make this performance irresistible. Pianist Torres contributed 2 pieces, the sensuous mid-tempo "Paquito" in which the clarinet melody is quite handsome; the multi-sectioned composition features a sparkling piano solo plus the final track, "Saidera", that Rivera sits out. 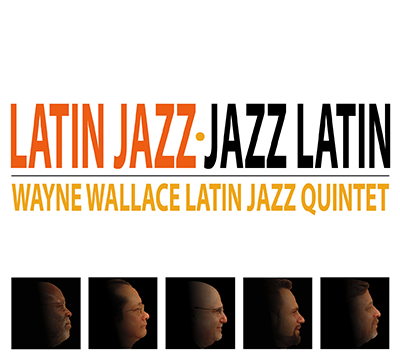 That cut has a multi-national feel, blending Brazilian elements with jazz. The title track is Rivera's only contribution - it's a lovely ballad with elements of Billy Strayhorn and Carole King (the opening section sounds like the chord progression to Ms. King's "It's Too Late.") The leader's clarinet work is, at the start, lilting but picks up in intensity for his solo. Paquito D'Rivera sounds as if he had a blast recording "Song For Maura" - you can hear the joy in his interplay with Trio Corrente. Only 2 of the tracks exceed 5 minutes yet nothing seems rushed (not even the uptempo romps) and the musicianship is positively top-notch. The results are "esplêndido", indeed! Chances are good that even if you do not pay attention to liner notes or discographies, you have heard Steve Gadd. His list of sideman credits ranges from Steely Dan ("Aja") to Paul Simon (who can forget "50 Ways To Leave Your Lover" or "Late in the Evening") to Eric Clapton to Chuck Mangione to James Taylor to Al Jarreau to...you get the idea. In the 80s, he lead the Gadd Gang that released several recordings and, in 2011, formed The Gaddabouts with vocalist Edie Brickell, bassist Pino Palladino and guitarist Andy Fairweather-Low. They have released 2 critically acclaimed CDs. 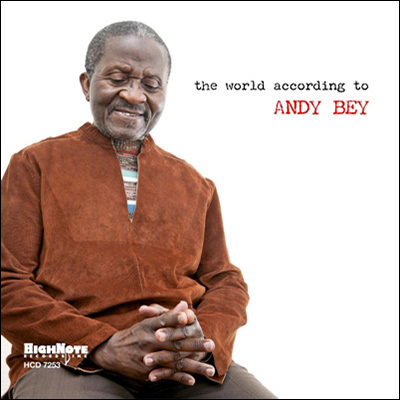 In 2010, he recorded with organist Joey DeFrancesco, baritone saxophonist Ronnie Cuber and guitarist Paul Bollenbeck under the monicker Steve Gadd & Friends. 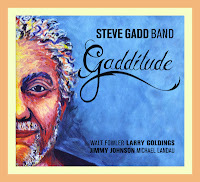 2013 brings about the Steve Gadd Band, a quintet with Walt Fowler (trumpet, flugelhorn), Larry Goldings (organ, piano), Michael Landau (guitars) and Jimmy Johnson (electric bass). Their debut CD, "Gadditude" (BFM Music), is like your favorite shirt or sneakers, like a glass of mature red wine, a sweet concoction of melodies that feels so good whether you're in the car on the highway or in your backyard. Goldings and Landau each contributed 2 compositions, there are 2 Keith Jarrett pieces, one each from Abdullah Ibrahim and Radiohead plus a group piece titled "Green Foam." That track starts out like the blues classic "Good Morning Little School Girl", features a splendid organ solo that quotes "Green Onions", then drops into a "deep blues" groove for a rippling guitar solo and goes a bit "out" near the close for Fowler's solo. The quintet plays a soulful, bouncy, version of Jarrett's "The Windup" - Johnson plays a most wicked bass groove and Gadd gives the rhythm a Caribbean feel. Landau's solo has a country feel as does Gadd's snappy snare work while Fowler digs right in. Goldings, on organ, has a great time riding the groove and the way the group slides back into the theme is quite sweet. The Radiohead track, "Scatterbrain" (from "Hail to the Thief") is a good vehicle for Fowler's atmospheric flugelhorn - the track also features quiet background vocals from Arnold McCuller and David Lasley. That duo of studio standouts are buried in the mix (if they are there at all) of the other Jarrett tune, "Country" (from his "My Song" Lp of 1978 - interesting that both tunes Gadd covers are from Jarrett's Scandinavian group of Jan Garbarek, Palle Danielson and Jon Christensen). The group's version of Ibrahim's "The Mountain" sounds as like a track by Otis Redding - if you go back to listen to the original (that the South African pianist first performed with is group Ekaya in the 1980s) , it has the same soulful feel. The originals each have their strong points. "Africa", Landau's piece that opens the program, has an excellent guitar solo and strong organ accompaniment while his other contribution, "Who Knows Blues" takes the blues to New Orleans and filters it through the grooves of The Meters. Gadd knows just how to push a piece without overplaying. The bubbly organ fills and Johnson's active bass lines are pleasing accompaniment. Golding's "Ask Me" is an atmospheric ballad with a fine electric piano solo, an emotional flugelhorn solo and strong work from both the drummer and bassist as they float beneath the soloists. The keyboard player's other original, "Cavaliero", sounds like it could have appeared on Los Lobos "Kiko" recording. Perhaps it's Gadd's snappy drumming or Landau's crunchy guitar but the piece really catches the ear. Steve Gadd has developed quite a "Gattitude" and it's one with real sweet grooves and fine playing throughout from all participants. The music doesn't jump right out at you but sneaks right into your ears. 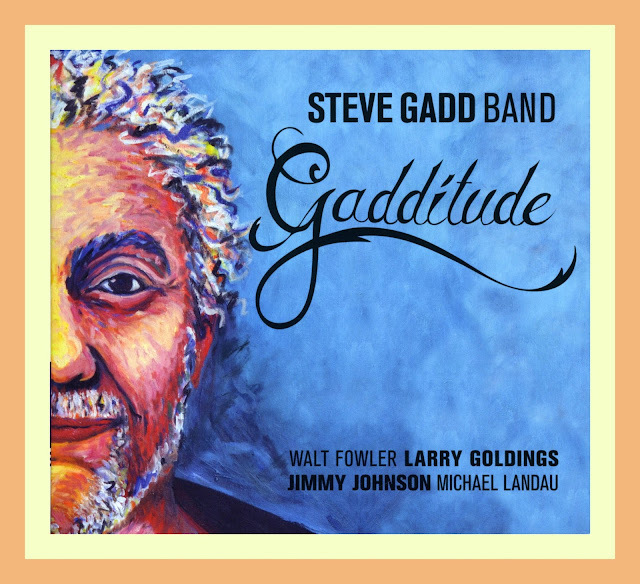 Soulful, bluesy, and fun, the Steve Gadd Band strikes just the right chords. For more information, go to www.bfmjazz.com. Trombonist/composer/arranger Alan Ferber is one busy musician with a list of associations ranging from the Vanguard Jazz Orchestra to Peter Gabriel to Sufjan Stevens to Dr. Dre to John Hollenbeck and many more. He has released 3 CDs with his Nonet, the last one also featuring a nonet of string players that still sings to me 3+ years after its release (my review is here). On July 31, Sunnyside Records releases "March Sublime", music for a big band consisting of 17 musicians. Powered by the leader's twin brother Mark (drums) and bassist Matt Pavolka, the music swaggers, struts, purrs and moves in a variety of directions on the power of Ferber's excellent melodies and harmonies. 5 of the 8 tracks are originals with the 3 remaining including saxophonist Chris Cheek's "So It Seems" (from his 2000 "Vine" CD), Bjork's "Hyper-Ballad" (from her 1995 recording "Post") and "I Get Along Without You Very Well", a song composed by Hoagy Carmichael that was a big hit in 1939 for Red Norvo and His Orchestra (and has been recorded by numerous people since including Chet Baker, Frank Sinatra, Nina Simone, Billie Holiday, and Stacey Kent.) The CD opens with "Kopi Luwak", a work Ferber composed for the American Brass Quintet - the rapidly-executed piece has both an Eastern European feel and bears the influence of Steve Reich. The voicings for the brass (4 trumpets, 4 trombones) have great strength while Pavolka's rumbling electric bass lines and Mark Ferber's driving drum work offer strong support for the solos of John O'Gallagher (alto saxophone) and Clay Jenkins (trumpet). The 2-part "Wildwood" is the longest piece on the program; the rubato "Intro" features the trombone section with the leader up front over the "skitterish" drums, rippling guitar backing (Anthony Wilson) and electric keyboard (David Cook). The main part of the song is a handsome ballad, the moaning brass and reeds reading the melody. Ferber moves out of the sectional sounds for a richly melodic - and bluesy - solo giving way to Wilson's finely constructed statement that also has blues at its core yet rises atop the rich acoustic piano chords. At its climax Ferber returns with a second solo that is more forceful and emotionally rich. The title track rides in on martial drumming (naturally) and electronically modified trombone before the reeds state the theme with the brass for counterpoint and an underpinning of assorted instruments playing short, repetitive figures. The piece moves slowly but surely into the solo section for the trombone of Ferber and trumpet of Scott Wendholt. Everyone quiets down below them save for the chattering piano, occasional guitar lines, and steady rhythm section. "The Compass", a work originally written for his nonet (and the title of its second CD on Fresh Sounds New Talent), is not so much changed as it is "filled out." The piece has all the earmarks of a "modern" big band work, from flowing sectional work to a rhythm that constantly shifts as it moves forward to an elongated melody line. John Ellis delivers a fine tenor sax solo followed by a playful statement from Josh Roseman. The trombonist starts out using a mute to modify his sound before going "natural" and pushing against the turbulent rhythm section. The swirling sounds of the acoustic piano and electric guitar suggest a ship in a raging ocean. "March Sublime" is all that and more. The overall sound and approach of Alan Ferber reflects the large band sound of his contemporaries John Hollenbeck and Darcy James Argue as well as their musical mentor Bob Brookmeyer (not to forget Maria Schneider whose music channels both Brookmeyer and Gil Evans.) Each of these people mentioned have developed in his or her own way, allowing their various musical influences to color their work, moving far beyond imitation. Alan Ferber creates music for the adventurous listener, music that allows one to get lost inside it and enjoy all the elements that come together in the individual pieces. For more information, go to www.alanferber.com. Pianist/composer Iro Haarla may not be well known on this side of the Atlantic Ocean but the native of Finland has a decade that spans over 3 decades, including working with her drummer-husband Edward Vesala (1954-1999) for 18 years before he passed. 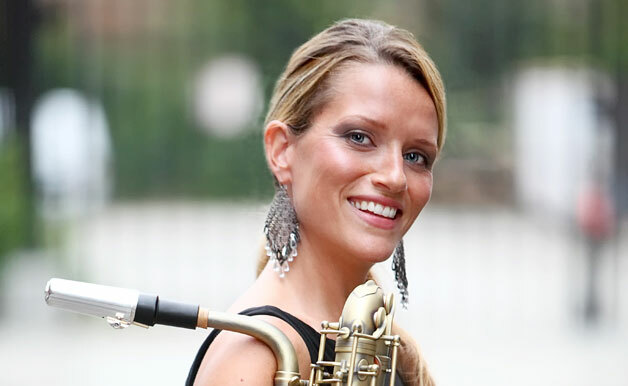 She has also performed with trumpeter Tomasz Stanko and pianist Christian Wallumrod and joined forces with bassist Ulf Krokfors to form a duo plus a 9-piece ensemble called Loco Motife. The bassist is a member of Ms. Haarla's Finnish-Norweigian quintet that has recorded 2 CDs for ECM, the latest being 2010's "Vespers." Ulf Krokfors is also a member of the Iro Haarla Sextet which the pianist organized in 2009 and with whom she has recorded her latest CD, "Kolibri" (TUM Records). Besides the pianist and bassist, the group (all natives of Finland) includes the impressive young trumpeter Verneri Pohjola plus Jari Honigsto (trombone), Kari Heinila (tenor saxophone, flute, alto flute) and Markuu Ounaskari (drums). 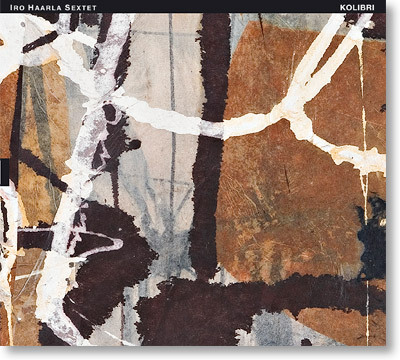 The 7 tracks, all composed by Ms. Haarla, display a bit of what might expect from a Scandinavian group (what critics and reviewers call the ECM sound) but do in fascinating directions. For instance, the title track opens with a quiet statement from the pianist yet when the sextet enters, the music picks up its pace with the trombone blending with the flute on the theme. The piece takes its title from the Finnish word for hummingbird so it's fitting that the first solo is Heinila on flute. Ounaskari's active drums push Pohjola into a hard-edged solo with the minimalist piano and flurry of bass notes as counterpoint. "Legend of Cranes" has a "noisy" opening with grating notes from the bass amidst the scurrying sounds of the trombone and drums before dropping into an uptempo groove (sounding a bit like Wayne Shorter piece from the late 1960s). There's a short drum solo leading to a dialogue with Heinila's tenor sax as the trombonist and trumpeter flutter around. There's a darker mood to "Sad But True"yet the piece is more introspective - the melody feels like a blend of Thelonious Monk and Ornette Coleman. The pianist's solos often have the quality of one from Monk. She doesn't jump all over the keyboard but slowly builds her solos, often peaking then fading back. The mood of "Procession" is similar, opening with long tones from the horns, picking up in tempo for a long section where the trumpet, trombone and tenor sax weave around each other, come together, move apart, supported by a rhythm inspired by Miles Davis and Gil Evans' "Sketches of Spain." The playful flute work blends with the more solemn brass on "Spirit Bear", a piece that also features excellent drum work as well as the "Sketches of Spain" influence. The program closes with a Sextet version of the title track from Ms. Haarla's "Vespers" CD. While the piece is slow, the mood is lighter, peaceful, meditative, with Pohjola and Heinila (tenor sax) reaching for higher notes while Hongisto plays in the lower register of his trombone. Krokfors' bass lines work well with the soft drum patter, certainly standing out on his solo in the middle of the piece. When the pianist re-enters, her phrases feel like a lullaby but the music moves on to a fine trombone solo, closing with the tenor and trumpet helping the song come to an easy ending. Iro Haarla is the leader of this Sestet but does not step out front for long periods - she often remains part of the ensemble "sound." While there are plenty of solos, the music on "Kolibri" often feels more like an ongoing conversation, discussions where the musicians have their space but rarely talk over each other. This recording engages the listener not with fiery rhythms or solos that blast out but with songs that challenge one to put aside his or her work and enjoy the creation. For more information, go to www.tumrecords.com. As of tonight (July 19), there are 12 days to go in "The Jazz Session" Kickstarter Campaign and Jason Crane is almost 60% of the way to his $6000. goal. I know, and Mr. Crane understands, how crazy life can be what with job uncertainty plus rising gas and food prices. However, he's not asking for the moon or even the cost of a predator drone (approximately $4,000,000) but just what you might spend on a 6-pack of good beer, a bottle of wine or a mid-week lunch. For more information, go to thejazzsession.com. Carl Testa is a composer, bassist, electronic effects manipulator and conceptualist. Simply put, he loves to play with sound. "IRIS" (Lock Step Records) is his latest recording as a leader (he has a number of physical and "digital only" releases available through his website - carltesta.net). He came east from Chicago to study with Professor Anthony Braxton at Wesleyan University and has been and continues to be a member of several of the newly-minted NEA Jazz Master's ensembles. Creative music fans know Carl Testa as the curator (and sometime participant) of the Uncertainty Music series that presents programs in various venues throughout New Haven CT. He also serves as Production Manager for the Firehouse 12 concert series. His new CD features 4 pieces, 2 "composed" and 2 improvised. Testa uses a digital effect pad at his feet to records and manipulate the notes he plucks or bows on his acoustic, creating what is called "granular synthesis" (and you can read about this by going to www.granularsynthesis.com/.) The results are fascinating on many levels e.g. as "trance music", drones, as pieces that can and do change each time they are played. The work Testa produces on his instrument is a "blueprint" for this recording and performances. And, it's music that is absorbing - to really enjoy these pieces, you must close your eyes and let the sound move in, around and through you. There's no percussion nor tempo but, in several instances ("At Early Bright" and "and Engulfed"), the music has a real sense of "forward motion." There are moments of beauty as well as disquieting sounds yet the overall feeling is one of emotional release, as if tumbling through space. Carl Testa wants you to listen, judge for yourself but leave expectations elsewhere. Pay attention but allow yourself to get lost in "IRIS." Here's a link to an interview with Testa where he demonstrates how he created the music for this project - go to www.youtube.com/watch?v=yDEmXou5j8k. The second of 2 "CD Release Concerts" takes this Friday July 19 at 8:30 p.m. in the performance venue space at Firehouse 12, 45 Crown Street in New Haven. For more information, go to firehouse12.com. The next 2 recordings feature the same rhythm section (bassist Linda Oh and drummer Kenneth Salters) - in the case of the first, they appear throughout while, on the second, they work together on over half the tracks (with Salters appearing on all 8). I first met saxophonist (tenor and soprano) Chad Lefkowitz-Brown at The Buttonwood Tree in Middletown CT that featured a quartet of young musicians that included pianist Steven Feifke and Jimmy MacBride (a graduate of West Hartford CT's Hall High School.) I've heard his work with trombonist Natalie Cressman and pianist Joe Gilman. "Imagery Manifesto" (self-released) is his debut as a CD and one of the more forceful recordings of the year. Powered by Ms. Oh and Salters (both prominent in the mix), the saxophonist/composer chose a like-minded group of cohorts including trumpeter Adam O'Farill, guitarist Travis Reuter and pianist Sam Harris. One of the better qualities of this recording is the interaction of the sextet, whether it's Reuter's "noise" guitar clacking over the rhythm section on "Manic Panic"or the handsome melody of "Still Here" (reminiscent of Wayne Shorter's "Footprints") or Ms. Oh moving against the melody line on "Time and Space", this sounds like a recording of a "working" band. O'Farill, son of pianist/bandleader Arturo O'Farill and co-leader (with drummer brother Zack) of his own group, shines throughout. He displays a round tone at the onset on the opening track, "A Turbulent Drift" as well as on the opening moments of his solo on "Still Here" but also can let loose as he does on the latter tune as he moves forward (at times, his sound and attack reminds me of Avishai Cohen.) Pianist Harris, who is readying his own debut disk and is a member of drummer Rudy Royston's 303 sextet, is solid in support throughout, whether it is his fine counterpoint under the saxophone solo on "Where The Wild Things Are" (playing in counterpoint to both Lefkowitz-Brown and Ms. Oh) or his chordal attack beneath O'Farill on "Tooth and Fang." His "waterfall" lines on "Eastern Flower" are emotionally rich, with just a touch of blues Reuter, whose 2011 debut CD captured my fancy (read the review here) is a great partner on the front line and as a rhythm player - his solos all stand out, especially his work on "A Turbulent Drift" and his effects-laden turn on "The End." He is the "wild card" because the guitarist, on first listen, rarely goes where you expect. Even in accompaniment, Reuter stands out, like his quiet work on "Eastern Flower" - he is an important "color" in the piece, especially in his interactions with Harris. Through it all, Lefkowitz-Brown makes his presence felt as composer, arranger and soloist. His solos can move from a "whisper to a shout" in a nano-second but always in context. He seems energized by Salters (and vice-versa), becoming more intense as he moves forward on "Still Here" and in his hard-edged solo on "Time And Space" - yet, he is always melodic, always in control, willing to interact with the rhythm section or create smart melodic interplay with O'Farill and Reuter. 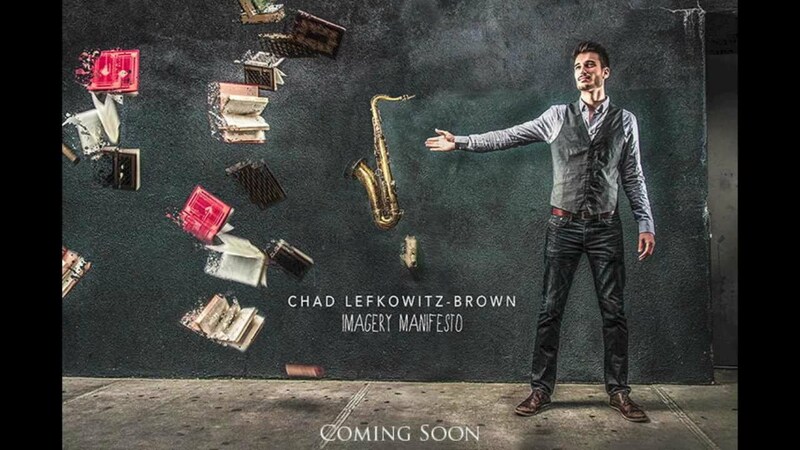 "Imagery Manifesto" is a musical declaration of intent, one that meshes well-drawn melodies with rhythmical drive, intelligent arrangements with forceful solos and the avid listener becomes a happy citizen of this new world order of Chad Lefkowitz-Brown. Come join the party! For more information, go to www.chadlefkowitz-brown.com. Guitarist/composer/arranger Quentin Angus, a native of Adelaide, South Australia, came to the United States to study at Purchase College Conservatory of Music/State University of New York after a distinguished college career in his native land. Angus, who turns 26 in August, has already toured throughout the world, authored 3 books of transcriptions of the guitar work of Gilad Hekelsman, and self-produced his debut CD (2012). For his 2nd release, "Perception" (Aurora Sounds), he turned to Purchase Professor Jon Gordon (saxophonist/composer) for production help, conducting and advice. The resulting recording is unequivocally a success. The 8 tracks feature 2 ensembles both anchored by drummer Kenneth Salters; 5 cuts find the guitarist and drummer with bassist Linda Oh, pianist Shai Maestro, and alto saxophonist Will Vinson while the remaining 3 feature bassist Or Bareket and pianist Matthew Sheens. Jo Lawry (also a native of Adelaide) contributes a wordless vocal to "Red and Yellow", with Vinson's alto sax as her shadow. Ms. Oh's thoughtful and supportive counterpoint plus Salters' active cymbal work underscore the solos on the track. 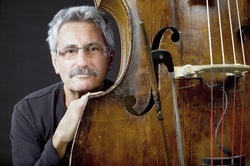 Bassist Yanni Burton (a member of the Salome Chamber Orchestra) leads a string quintet on 2 tracks; the 5 string players (violinists Sarah Koenig-Plonskier and Lavinia Pavlish, violist Jack Stulz, cellist Leanna Rutt plus Burton) add depth to "Chernobyl" (composed and arranged by pianist Sheens) that also features a sparkling soprano sax solo from Chad Lefkowitz-Brown (his lone appearance) while their handsome sounds lead the group into "Den Haag" then swirl around beneath the guitarist as he plays the theme. Elsewhere, "Restoration" has an irresistible groove supporting a rapid-fire theme and solos. Ms. Oh and the drummer really drive this track, goosing Vinson (the only soloist) to deliver a striking statement that initially rides the waves of the rhythm section then soars above it. The title track features a long, impressionistic, introduction from Maestro, a slow reading of the theme that picks up speed with Salters pushing the group into the second theme that has a resemblance to and rhythmic excitement of Chick Corea's "Spain." 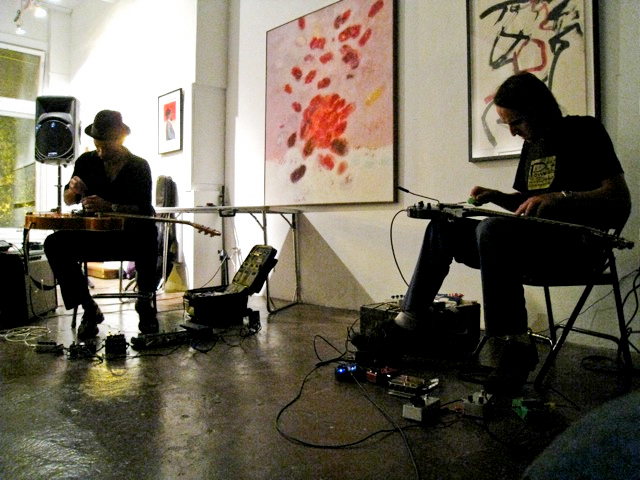 Ms. Oh takes the only solo, spurred on by Salters and the persistent yet quiet guitar. As for the leader, Angus lets loose on the sprightly reading of Miles Davis's "Nardis", displaying a touch of John Abercrombie and Kurt Rosenwinkel in his tone and attack. He takes a subtler approach on "Bounce" where he begins his solo in a melodic mood and gradually succumbs to the fires stoked beneath him by the bass and drums, his lines becoming more angular and intense. Angus also can "swing" as he shows in his sweet solo on the opening track, "Particular, Peculiar." "Perception" repeatedly his its musical "sweet spot" and does so with a variety of approaches. The music is exuberant, richly melodic, smartly arranged with solos that truly resonate in one's mind. Quentin Angus has worked with most of these musicians on club dates and in concert halls, having just completed a tour of Australia in June with Lefkowitz-Brown, Salters, Sheens and bassist Lyndon Gray (yet another "son" of Adelaide.) This recording is quite impressive and leaves one wanting more of Angus's guitar and songs. For more information, go to www.quentinangus.com. Bassist Eric Revis is one of the busiest musicians in the world. As I write this (7/08/13), he's on tour in Europe with both the Branford Marsalis Quartet and the Kurt Rosenwinkel New Quartet. He's also a charter member of the Tarbaby trio with Orrin Evans and Nasheet Waits making him a charter member of the LIKEMIND Collective as well (Part 1 is here). "City of Asylum" (Clean Feed Records) share its name with a Community Arts Organization in Pittsburgh, PA (www.cityofasylumpittsburgh.org/). It's Revis's 4th CD as a leader and features drum master Andrew Cyrille (born 1939) and the impressive young pianist Kris Davis. The bassist brought the musicians together and they created the program on this CD. Composed of 7 group improvisations and one piece each from Thelonious Monk ("Gallop's Gallop"), Keith Jarrett ("Prayer"), and Revis's "Question", the music is alive with interaction, possibilities, ideas and quite far from cliche. The bassist has a "large" tone that blends well with Mr. Cyrille's fluid percussion. Ms. Davis is one of the stronger improvisers in modern music, her ability to move in and out of the flow of the music, her striking choice of chords and melodic phrases, her percussive attack, all keep the listener on the edge of his seat (physically and mentally). There is nothing "standard" about her approach (you can say the same about Messrs. Cyrille and Revis as well) so these pieces feel "alive". There are tens of thousands of covers of Monk tunes but few with the animation that this Trio imbues the song with. Mr. Cyrille creates a wall of percussion while the bassist, more often than not, plays counterpoint. The give-and-take of the bass and drums in the opening moments of "For Bill" is a fine example of how both musicians set up the dialogue and lay the table for Ms. Davis. She reacts to as well as acts on what her partners are creating. This piece is so quiet, at times, one must lean into the speakers, yet Mr. Cyrille never relinquishes the beat - in fact, he sets the level of intensity for the others. This music is neither heartless nor humorless. Witness "Harry Partch Laments the Dying of the Moon...and Then Laughs" - with Ms. Davis creating a "motor-rhythm" and Mr. Cyrille pushing an prodding beneath, the bassist creates a mysterious sound as he bows throughout the track. Revis sets a furious pace on his unaccompanied opening to "Prayer" and, when the drummer enters, one can hear the musicians "conversing". Ms. Davis plays with slowing down the piece, creating a solo that rises with the bass in pursuit. The lovely melody line the pianist creates on "Traylor"is reminiscent of Paul Simon's "An American Tune" - the drummer frames the piano beautifully with his cymbals and sparse use of the snare drum while the bassist creates a melody that moves in tandem with the piano. "City of Asylum" is filled with with riches, a group conversation that is open and intimate. One can sense that as Kris Davis, Andrew Cyrille and Eric Revis continue to explore this collaboration, their interactions will become ever more expansive. This CD is excellent yet one must see them live to complete the connection between musician, music and listener. For more information, go to ericrevis.com or www.cleanfeed-records.com/disco2US.asp?intID=430. Vocalist JD Walter is no stranger to experimentation, to taking chances in pursuit of creativity. He has recorded with saxophonist Dave Liebman, his 2006 CD "2Bass, A Face and Some Skin" found him in a session with 2 bassists and a drummer, and has co-led the group Luvpark with pianist Orrin Evans. For the past 5 years, he's been issuing CDs on his own JWALREC label, including live recordings from Portugal. "One Step Away" is his latest (ad)venture and he turned over the reins of the production to Evans and bassist Eric Revis. Their choice was to record "live" in the studio utilizing Tarbaby (Evans, Revis and drummer Nasheet Waits) and guitarist Marc Ducret (who will be featured along with saxophonist Oliver Lake in the upcoming Tarbaby Rogue Art recording "Fanon"). The result is a fascinating blend of free improvisation, handsome ballads, inspired "instant" arrangements and smart choices of cover material. Walter, who grew up in the Philadelphia, PA area, was most certainly aware of Todd Rundgren (who rose out of the Philly area to stardom) - he picks a Rundgren tune from his "A Capella" album, the soulful ballad "Pretending To Care." The band beneath the emotion-filled voice moves ever-so-slowly with Evans playing a sweet piano accompaniment atop Waits' deliberate brush work. Ducret's guitar solo moans, exhales, flutters and roars even as Walter returns to bring the song to its climax. Next is a rollicking rendition of Paul Simon's "50 Ways to Leave Your Lover." 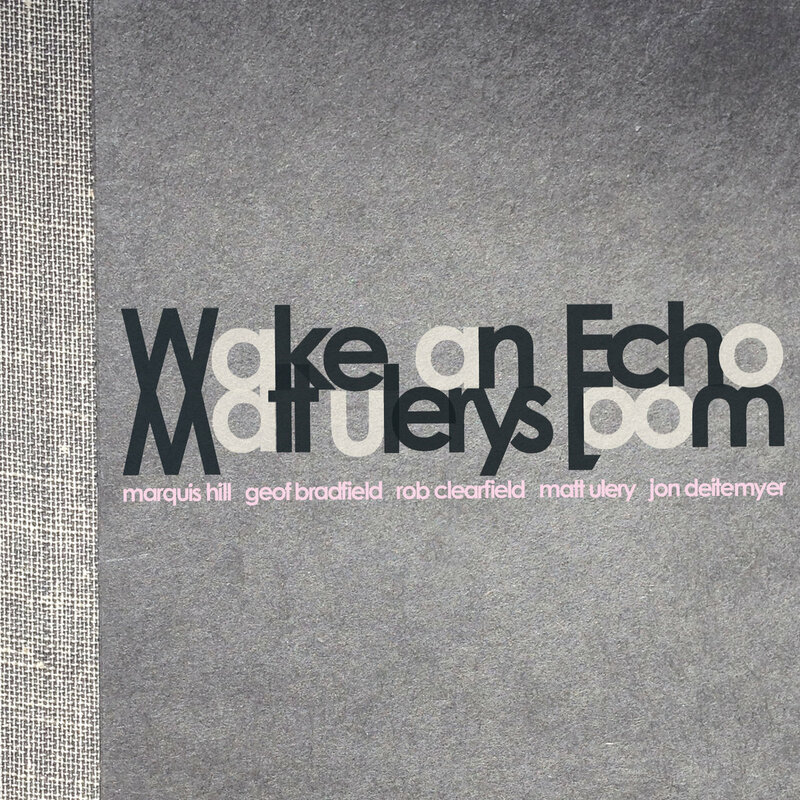 After Walter sings the opening verse (with Evans supplying some abstract counterpoint), the rhythm section comes in and the song drops into a raucous groove, Waits' mammoth bass drum leading the way with Revis weaving lines in and around the vocalist. Evans' piano solo is a hard-edged forceful statement. Walter has a great playing with the time, moving in and out of falsetto and getting into the "spirit." Guitarist Marvin Sewell joins the band for the modern soul sounding of "If I Knew", a smooth blend of r'n'b, the "Philly Soul" sound of Thom Bell, and jazz. Walter bounces atop the band, overdubbing voices on the chorus, and truly digging into the words. Several of the songs have an experimental edge, including the sensuous rhythmical treat that is "How To Die and Where To Fly." Walter duets with himself with Revis providing a funky bass figure and Waits supplying a very strong groove. "Inward" is just Ducret's electric guitar as accompaniment for the socially conscious lyric. Walter's voice moves gracefully alongside the guitar, the articulated lyrics standing out as does the creative lines the guitarist supplies. The blues feel of "It's Raining Today" is juxtaposed with an electronic drone and Evans' dancing piano lines (only on the first verse) - the song has a fascinating bridge before returning to the feel and sounds of the first half of the piece. 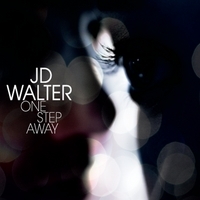 The sound of "One Step Away" is wonderfully open (save for the tune with the drone); all voices instrumental and human can be heard with Nasheet Waits' drums right in the center of the mix and JD Walter usually on top of the band (the sole exception being "How To Die and Where To Fly" where the 2 voices are separated.) After several times through the program, what might sound "strange" first time through loses that definition and one realizes how well these sounds mesh together. JD Walter may have been challenged by the approach of his good friend and co-producer Orrin Evans but the results are exceptional. Dig in and dig it! For more information, go to www.jdwalter.com. As a good percentage of the continental United States continues to suffer from excess heat (with and without excess humidity), the temptation to stare at the picture above is hard to resist. Bassist/composer Chris Morrissey, a native of Minnesota (quite familiar with the scene on the CD cover) and now resident of Brooklyn, NY, is a busy musician, playing alternative rock with his band Taurus (he's also the lead vocalist), working with a diverse list of artists from vocalist Gretchen Parlato to country-rock-blues performer Ben Kweller to singer-songwriter Mason Jennings to violinist/singer Andrew Bird. He also leads a Quartet/Quintet that plays his original compositions that reside in that wonderfully eclectic fusion area of jazz, rock, and Black American music. "North Hero", his second CD for Sunnyside Records (the first, "The Morning World" was issued in 2009), finds him in the company of Aaron Parks (piano), Mike Lewis (tenor saxophone) and Mark Guiliana (drums) with The Bad Plus drummer Dave King as producer. Well, you can take the bassist out of Minnesota but, judging by the opening track of the recording, "The Spirit of Chanhassen", you cannot take Minnesota out of the bassist. Chanhassen is a town of (approximately 23,500) that is actually in 2 counties (Carver and Hennepin) and sits 50 miles southeast of Lake Minnetonka. Parks' spirited piano intro (an energetic blues figure) sets up the theme played by Lewis (co-founder of Happy Apple) and the quartet is off to the races. The bassist, who composed all 8 tracks, works with Guiliana to build the foundation of the piece, creating a solid sound for the saxophonist to solo over. Lewis and Parks play the melody line on "Minor Silverstein" in a higher register so that the blend of tenor and piano has a flute-like quality. Whereas the first track has a "jump-blues" feel to the attack, this track has a drum beat that sounds influenced by The Police. Pieces such as "Midland, Texas Picnic Area" and "Hands Crystals Anderson" are as playful as their titles, the former a high-powered romp driven by a "racing" walking bass line and high-powered percussion. The latter track has a sprightly feel, thanks to the hard 4/4 beat in the rhythm section - the pianist and saxophonist take more of a minimalistic approach and the tension between the groove and front line makes the piece stand out. The pair of ballads, "One Worn Mile" and "Lullaby For Twins", also stand out. The first tune has a strong blues-gospel feel, a melody that unfolds slowly and a splendid piano solo. "...Twins" opens with a trance-like piano figure that leads to the opening theme played by bass and piano. That melody line is sweet, also slow to unfold yet one is carried along on the gentle current of the notes. The program closes with "Electric Blanket", an episodic up-tempo waltz that makes the most of Lewis's airy tones atop Parks' rolling triplets. Guiliana stands out here, with his fine cymbal work and expressive rhythmic attack. 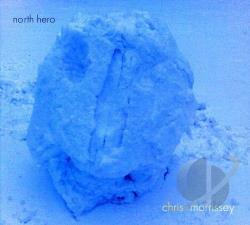 "North Hero", for all its chill on the front and back cover, is music to savor any time of the year. Chris Morrissey does not need to show his technical prowess to make a positive impression on the listener. Good band, strong songs, short but striking solos; this all adds up to an enjoyable audio experience. For more information, go to www.chris-morrissey.com. Thanks to musicians such as Don Byron, Anat Cohen, Ken Peplowski, Eddie Daniels, Ben Goldberg, the clarinet, while not as visible as the tenor saxophone, continues to be an important voice in creative music. Add to the list Philadelphia native Darryl Harper. For nearly 2 decades, he has worked with his Onus Trio and Quintet, as a solo artist, working with Regina Carter, the C3 Project (for 4 clarinets, voice and rhythm section) and is on the faculty of Virginia Commonwealth University. His 2009 CD, "Stories In Real Time" (HiPNOTIC Records), was a fascinating document that featured commissioned works for different sized ensembles. The Trio show similar range, starting with "Jerry's Blues", a waltz composed by fellow clarinetist Vickie Wiseblatt that swings pleasantly. Bassist Parish contributes "Sirens Calling", a work that has its roots firmly planted in Africa. The sounds of the drums and clarinet swirl around as the bassist serves as the melodic foundation. The drums drop out in the middle and bowed bass takes over, slowing the work down for a time but the infectious returns to take the piece out. Reed's drums lead the trio into "Edenfred", an up-tempo blues that has great drive and interplay. Harper adapts Julius Hemphill's "Kansas City Line", a work that the late saxophonist/composer created for his 1977 "Blue Boye" solo project (reissued in 2002 on Tim Berne's Screwgun label and still available) for trio. The clarinetist captures the bluesy joy of the original, giving the rhythm section space to stretch. Darryl Harper has created yet another impressive project. "The Edenfred Files" flies by at just under 41 minutes, making one wish for more from both the trio and duo. Music that tells stories is almost always worth investigating and these stories are quite compelling. 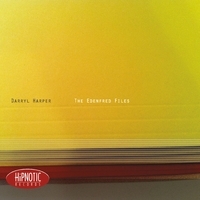 For more information, go to www.darrylharperjazz.com. Saxophonist/flautist Frank Wess began playing saxophone at the age of 10 in his hometown of Kansas City, Missouri. The year was 1932 and the United States was in the midst of the Great Depression. By the end of that decade, he had moved to Washington, D.C., was playing both alto and tenor saxophone, beginning to play with "serious" bands. He spent World War II in the US Army Band and, after his discharge, began his career in earnest, working with Billy Eckstine, Lucky Millinder and others. He took up the flute in 1949 and joined the Count Basie Orchestra in 1953, where he stayed for 11 years. Since 1964, Mr. Wess had done studio work, led several aggregations, worked with his Basie section-mate Frank Foster, and played all over the world. At the age of 91, he still has several gigs a month. 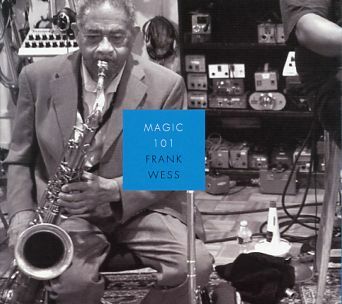 "Magic 101" (IPO Recordings) was recorded in June of 2011 (when he was but 89) and features Mr. Wess in a quartet with Kenny Barron (piano), Kenny Davis (bass) and Winard Harper (drums). With the exception of the opening track, "Say It Isn't So", this is a ballad recording. The joy of an album is you can't hear how old somehow is when he or she is playing an instrument; you can hear "maturity" and Mr. Wess is in fine form. For these 7 songs, he sticks to tenor saxophone. His first duet with Barron, "Pretty Lady", is the only original, has a lovely, long, melody line; both men play sparkling solos, Barron with a touch of stride in his left hand, Wess's breathy tone imbuing his solo with emotion and soul. The next track, "Come Rain Or Come Shine", has a similar feel but leans more towards the blues. Barron is such a fine musician, he could accompany someone playing a kazoo and the music would have soul. After the strong sax solo, the pianist takes a short but sparkling solo with a most understated left hand rhythm. The 4 quartet pieces range from the hard-hitting opening to 2 ballads (a sweet reading of "The Very Thought of You"and a bluesy, smooth, slow read of "Easy Living") and a straight-ahead blues reading of "Blue Monk." On the Monk tune, Harper and Davis lock into a groove that both the saxophonist and pianist dig right into. You can hear the Kansas City sound in the tenor solo that "gets down to it", Mr. Wess smearing notes and, on occasion, reaching back and letting fly. Harper's crisp cymbal work keeps the beat while he supports and pushes beneath the soloists. His brush work on "Easy Living" is sublime as is the bassist's strong counterpoint (under both solos, Davis's lines stand out.) The music has plenty of space and you can hear the musicians interacting, having fun making music. The program closes with the leader playing a solo version of Duke Ellington's "All Too Soon", a piece first recorded by the composer in 1940. Mr. Wess stays in the middle-to-upper ranges of the tenor saxophone as he moves through the melody and his eloquent improvisation. The breathy sounds may remind some listeners of Ben Webster in his later years; both men create solos off the melody lines and both often display a "singing" quality in their phrases. A strong recording, "Magic 101" is creative, highly melodic and easy to take on a hot summer night (or any time of the year and day.) Frank Wess rolls right along, playing music that keeps him (and us) young. For more information, go to www.iporecordings.com. You can also check out frankwess.org but the site need to be updated (except for the "schedule" page). It is often said or written that Black American Music, jazz to many, is this country's contribution to the world. Born from the foundation of the blues, this is a music that has both communal and individual properties. There are borders, limitations if you will, but it is often amazing how much the creative person can do within the framework of this music. The 20th Century is considered the "American Century", music is one of America's prime contributions to the world, and Edward Kennedy "Duke" Ellington (1899 - 1974) is one of the greatest of the contributors. His music, fermented in the Black Renaissance of the 1920s, became part of the soundtrack in the Depression years and remains so to this day. When one ruminates on the development of American music, people such as Louis Armstrong, Thelonious Monk, George Gershwin, Cole Porter, Irving Berlin, Charles Ives, Leonard Bernstein, Aaron Copland and others created much of the memorable sounds - however, none of them sustained the creative level of Mr. Ellington (it is an arguable point but, bear with me.) Thanks to the royalties of his great songs, he kept his Orchestra together through good and bad economic times. He composed numerous "suites" and concert-length pieces, toured incessantly, set the example for numerous bandleaders of how to comport one's self on the stage and in the world, and was a fine pianist. Don't believe me? Go to www.dukeellington.com/ and see/hear for yourself. Eddie Daniels (clarinet, tenor saxophone) and Roger Kellaway (piano, arrangements) are a potent pair of musicians. Both extremely talented and technically proficient, every time they perform together, creative sparks fly. "Duke at The Roadhouse: Live in Santa Fe" is their 3rd CD for IPO Recordings; dedicated to the music of Ellington (with 1 original piece by each performer), this program will make you smile and clap your hands with glee. One would have to be a grump to dislike the sounds that the duo make over the course of this 10-song program. The songs are all Ellington "standards" but there is nothing standard about the interpretations. Kellaway (born in 1939) is a splendid player - at times, he reminds of the late Jaki Byard in that he can play anything in any style but never abandons the rhythm (there are numerous examples on the CD where he breaks into a "stride" pattern - Byard loved to do that as well.) Daniels suggested that the duo add cello to the arrangements so Kellaway chose cellist James Holland of Albuquerque, New Mexico, to join them. He appears on 4 of the pieces - Kellaway wrote both the arrangements and the solos for the cellist. Holland's clear tones and deep notes are a pleasing addition to pieces such as "In a Mellow Tone" where he is paired with Daniels playing tenor as well as on the slyly rambunctious performance of "Perdido." "In a Sentimental Mood" has a subtle Brazilian feel at times. Daniels' solo is a treat while the cellist gets to romp over the piano ever-shifting under-pinning. Kellaway's " Duke in Ojai" has a wonderful melody line played in unison by cello and clarinet with a Daniels solo that leaps gloriously into the higher ranges of his instrument. Daniels' clarinet work is absolutely joyous, from the bluesy slide into "I'm Beginning To See The Light" to his Charlie Christian-like melody lines on his original "Duke at The Roadhouse." His unaccompanied introduction to "Mood Indigo" includes a bit of multi-phonics while his solo on "Creole Love Call" is the essence of the blues and how one can really stretch out within that form. The playful reading of "It Don't Mean a Thing" brings the CD to a close with a flourish...actually several flourishes. The music that Eddie Daniels and Roger Kellaway make, along with the contributions of James Holland, speaks to the vitality of Duke Ellington as well as to the individual and communal aspects of this American art form. Yes, it is "Art" but it is life at its finest. "Duke at The Roadhouse: Live in Santa Fe" will reverberate in your mind and soul long after the last explosion of the fireworks on this and every Independence Day. For more information, go to www.iporecordings.com. So many of you helped me keep the show going in its first five years. Now I'm asking you to help me produce 12 new episodes -- one per month for a year. The money raised in this campaign will send me to New York for a week to conduct the interviews, and it will help pay for the production costs and the server space for the show. That server space alone is getting very expensive, given the show's 2.5 million downloads (and counting). But let's do even more. The centerpiece of each episode will still be an in-depth interview with a jazz musician. But each episode will also have an extra segment. It might be a jazz book or CD recommendation; a short talk with an author or writer about a particular jazz-related topic; or maybe a look behind the scenes at a special event. One thing is for sure: there will be even more jazz info in each and every episode. You don't have to wait to hear a new show. Visit http://thejazzsession.com right now to hear a brand new episode featuring pianist Geoffrey Keezer talking about his new solo piano record. It's my way of saying "thank you" for your support, and I hope it makes you want even more episodes. And no, this doesn't count toward the 12 new shows. So really, you're getting 13. If you love jazz ... if you love music ... if you care about documenting history as it happens, please help me bring back The Jazz Session. Summer has certainly arrived in Connecticut, especially with the news that the "Monday Night Jazz in Bushnell Park" series is resuming on Monday July 8 and running through August 12. The arts scene in Hartford has really come back to life in the past year and it's great to see that this series, which began in 1967 and was curated by bassist Paul Brown, continues to bring quality music to the city and region for free! Mario Pavone, the gentleman resting on his bass violin above, kicks off the 2013 series and he's bringing his Orange Double Tenor Septet. The ODTS features Connecticut natives Jimmy Greene and Noah Preminger on saxophones, Dave Ballou on trumpet, and long-time Pavone associates Peter MacEachern (trombone), Steve Johns (drums) and the great Peter Madsen on piano. Pavone is also appearing this Friday July 5 at Cafe Nine, 250 State Street in New Haven - everyone but Jimmy Greene will appear on that night. (For more information, go to cafenine.com.) The Bushnell Park show kicks off at 6 p.m. with Rahstet, saxophonist Rich McGhee's tribute to Rahsaan Roland Kirk. The series continues on July 15 with a double bill featuring the Stanley Cowell Quartet (the pianist is pictured left) with the Nita Zarif Quintet as the opening act. July 22, the series hosts the Jay Hoggard Quintet with the Norman Gage-Kenny Reed Quintet opening the festivities. July 29 will have a serious Latin feel when the New Cuban Express led by pianist Manuel Valera and featuring saxophonist Joel Frahm come to the Insurance City. The opening act that evening Hartford's own Tropiijazz. The 2 shows in August feature the Will Calhoun Trio with the Orice Jenkins Septet (8/05) and harpist Brandee Younger's Quintet featuring Hartford native Dezron Douglas on bass with the Shenel Johns opening the evening. Did I mention this is free? The rain venue is the Asylum Hill Congregational Church, 814 Asylum Avenue. For more information, go to www.hartfordjazzsociety.com/mnj-schedule.html. And, if that's not enough live music for you, you can head over to Black-eyed Sally's, 350 Asylum Street, for its "Jazz Mondays" series. Scheduled to appear in July are the Haneef Nelson Sextet (7/08), the Lauren Sevian Quartet (that's Ms. Sevian above and she's in the Park on 7/15), the Larry Willis Quintet featuring Steve Davis and Mike DiRubbo (7/22) and Radam Schwartz & Organ-ized featuring drummer Ralph Peterson (7/29). All this is sponsored by the Charter Oak Cultural Center. For more information, go to www.charteroakcenter.org/index.php/category/jazz-mondays or call the venue at 860-278-7427.